It is not hard to understand why some people are upset with the Golden State Warriors signing Demarcus Cousins. It’s bad enough that they can put four all-stars on the court every night; now they have fifth. As if beating them already wasn’t tough enough. With their new monstrous center (6’11” and 270 lbs.) protecting the rim, no one is going to drive the lane. Vegas seems to think that the Warriors are going to be even tougher to beat. 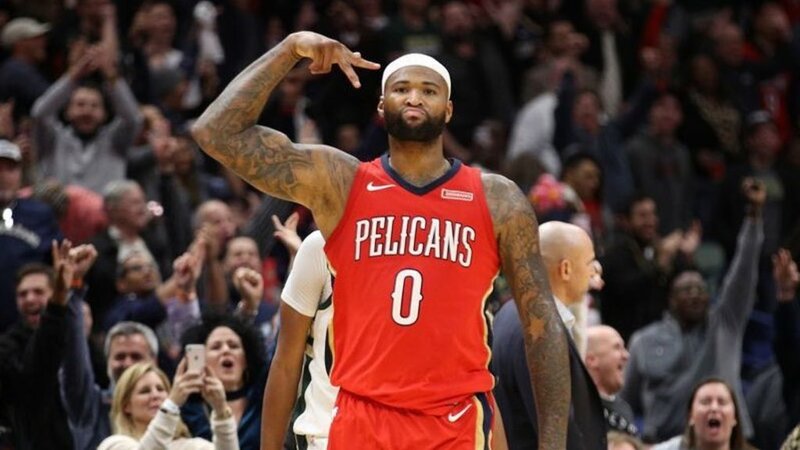 Prior to signing Cousins, their odds to win the 2019 NBA Finals were -110 (or 10/11). That means you are betting $110 to win $100. Now they are -150 (as of 7/3). That means it now takes $150 to win $100. As impressive as it is, they had better odds last year without Cousins on the roster. Last season, they opened at -200 to win the 2018 NBA Finals. That made them the largest preseason favorite to go on to win the Finals in NBA history. So, how is it that the Warriors odds are worse when they’ve added another superstar to the mix? There are two reasons. For one, who knows what the Warriors actually have in Cousins. When it comes to NBA players and injuries, an Achilles tear is the worst one to have. According to a study conducted in 2013, seven of 18 players that suffered significant Achilles injuries from 1988-2011 never played again. Those that did looked nothing like the player they were pre-injury. Kobe Bryant certainly wasn’t the same. Before suffering his injury on April 12, 2013, he was averaging 25.0 points/game; after the injury, it dipped to 18.9. Patrick Ewing saw his stats nosedive from 23.2 points/game to less than ten. The injury tends to take close to a year, if not more, to recover from. But with the roster the Warriors have, that will not be an issue. They can afford to let him sit for as long as it takes to get healthy. However, while there are more players whose game suffered following an Achilles injury, that hasn’t always been the case. Wesley Matthews only needed eight months to recover. When he returned, he averaged 13.4 points/game relative to 14.3 he was scoring before the injury. Yes, it’s a decline—but a negligible one. Dominique Wilkins was out a longer (about nine months). His scoring only took a small dip (from 26.2 points/game to 25.2). The injury concern is one thing making the odds on a repeat not as good as last year. But there is another more significant one—the ‘arms’ race currently going on in the Western Conference. The Lakers are leading the charge, of course, with LeBron James moving out to LA. Their other additions aren’t as impressive (Lance Stephenson and Rajon Rondo). But they do have a solid core of young talent in Brandon Ingram, Lonzo Ball, and Kyle Kuzma. Oklahoma City will remain competitive after holding onto Paul George. They also added Nerlens Noel. New Orleans lost Cousins and Rondo. But they gained Julius Randle and didn’t seem to miss Cousins after he got hurt last year. Houston lost Trent Ariza but gained Michael Carter-Williams and retained Chris Paul. They are still hoping to keep Clint Capela as well. The Western Conference wasn’t easy to get through last season. It appears like it is going to be even tougher next season. That alone is enough to put a damper on any team’s odds. But Golden State’s odds are still incredible. That means Vegas isn’t too impressed with the ‘arms’ race, and their still enamored with the Warriors.